Running for student council is one of the best decisions you can make as a student. If you’ve got your eye on college admissions or adding something outstanding to your resume, it can be a great way to prove yourself early on. If you’re going to run, you want to make sure you’re doing everything you can to make sure you win, don’t you? That desire is what brought you here and had you Googling “how to win student council elections” just moments ago. Well, we’ve got some good news for you. In this article, we’re going to show you how to run for student council and maximise your chances of winning. If you follow these next ten steps and add a little of your flair, you’re going to be a hot contender for that election spot. If you know the position on the council you want to be elected for, you can start to look at the qualities and values students will be looking for in that person. They won’t always be looking for the same thing in the President as they would like in the Treasurer, for example. The reason why you’re running is also important to know. Personally, it can help you stay motivated and focused on your goal, especially on the days it feels hard, or that you’ve got lots of work to do. It can also help you to show your values to your voters; what you stand for, what you want to achieve, and why you’re running for this position. This can help them to decide if they want to vote for you. If you could break your “why” down into three bullet points, how would they look? You can use these points in the later sections of this article, and in your campaign. When you campaign for votes, it’s good to know the kind of person who you’d like to vote for you. That way, you can create a message to appeals to them, to put on your posters and flyers, or in your speeches. To do this, you’re going to create what’s known as a “persona”. This is a fictional person who shares the same values and ideas that you’re going to be promoting in your campaign. It helps to imagine who they are, and if what you’re doing or saying fits with what they’d want. What grade are they in? What does their average school day look like? What is their biggest challenge at school? What changes would they like to see at school? What would be the main reasons they’d vote for you? Don’t worry if you feel nobody 100% fits this persona. There’s a good chance they won’t. Instead, this person shares some of the same ideas and principles that your ideal voter would have. It’s like an “average” of all the student body members you want to vote for you. If you get your message right and can focus on these points, you’ll have a great chance at getting elected. If you look at all official elections - from your local government, right up to the president of the country - everyone has an official logo. But why do they do this? It’s because it makes your campaign easy to remember. The same way you use the Nike Swoosh to identify their shoes, or the McDonald’s Golden Arches to identify their products, student voters can do the same for your election campaign. It also adds a level of authority and makes your campaign feel trustworthy. They’re both great psychological techniques to help win over voters. And, if you can combine it with a slogan, it becomes a message they can get behind. In our opinion, you should create a logo and add it to all of the campaign materials you’ll use. Whether that’s a poster, flyer or even a Facebook page. The more they see it, the more they’ll associate it with you, and grow to like it. You can even create your campaign logo for free using our free Canva logo templates. You can open them up and edit them to suit your style. Why not try a logo that displays your name like, Handwritten Name or Minimalist Name? With your foundations in place, it’s time to start spreading the word! One of the first ways you can do that is by creating posters and putting them around your school. Ideally, these will be attention-grabbing and help you stand out as a really strong candidate. For example, YouTuber Marc Elvin handmade his spray-painted posters that said “Marc” in big letters, and then placed them around the room. He said this got other students talking and created some hype around his campaign. Your posters can be as simple or contain a little more information. It depends on who you are, and what your “persona” would be looking for in a poster. But striking visuals, bold colours and sharp fonts are bound to turn heads! Here is an some example campaign posters we created using Canva, that you’re more than welcome to use yourself. They are Melanie McNeil and Cynthia Foster. The more people on campus who see and hear your name, the better. Flyering is a great way to spread your message and get it directly into the hands of the people you want to vote for you. If people take them with them and hand them on to friends, you have the potential to reach lots of people. If you know where your ideal voters spend their time, you could go directly there to hand out your flyers. If they attend specific clubs, you could also hand them out to people at their meetings. Or, if you’re not sure, you can hand them out around campus. Whichever works for you! 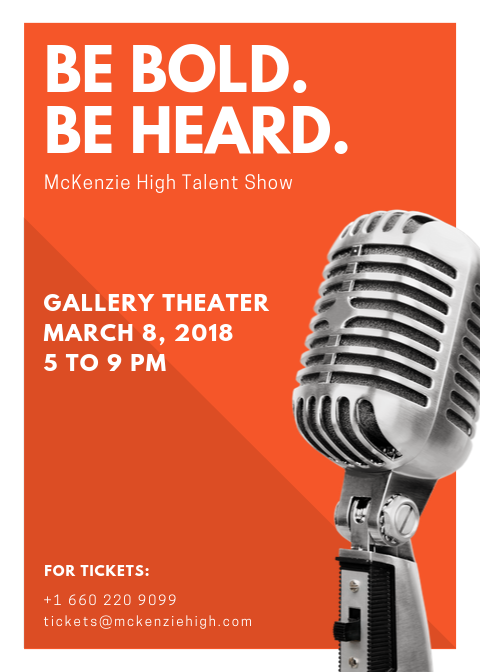 These flyers can be mini versions of your posters, or you can create some unique flyers to grab their attention. Flyers come with an bonus because you can use both sides of the paper to share information. 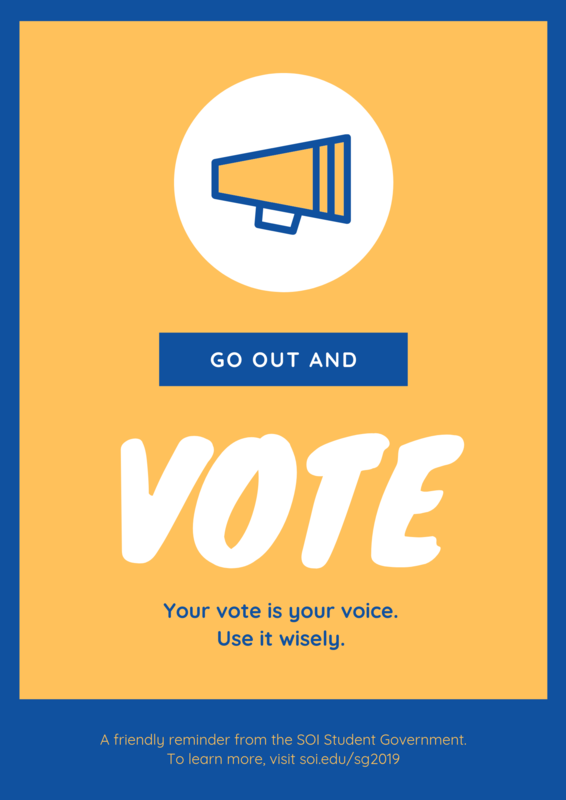 Here are some flyer templates you can create edit in Canva that can quickly and easily help you spread the word, like our Be Bold and Go Vote! templates. Is there anyone you know in clubs, classes or your friend circle that could help you spread the word? The more people you have to support you or help you out, the better. This could be something simple, like being able to talk to them about ideas. Or it could be standing out in the yard with you while you hand out flyers. Even better, if they have social media followers or are part of a bigger club, the could share an update or put up posters for you. This could help you reach lots of people you couldn’t reach if you were doing this all on your own. Every student council campaign needs a central “hub” where people can go and find out information, or follow you for updates. One of the places you might want to consider is a Facebook page. You can create one for free, and it can work like a sort of website for your campaign. You can use it to share live videos, post images and tell stories. It’s also got the option to create events so you can invite people to attend a debate or a rally that’s being held. To add extra authority and share instant information with people who visit your page, you could create a cover photo for it. This would contain all of the information about your campaign, and even the three major bullet points you wrote down in stage one. If you’d prefer something simpler, why not try our Save The Date banner? Another way to use social media is to document your campaign using Instagram or Snapchat stories. You can create mini-updates about your thoughts and ideas, or have mini-rants, that you can share directly to your followers. As long as it’s engaging and interesting (which you are), people will go out of their way to watch it. You won't have to create an “official” account for this. Instead, you can use your own, and update your bio to talk about your current campaign. Plus, sharing images and quotes that resonate with your ideal voter can be a great way to win them over and gain some votes. Presentations allow you to show who and what you’re campaigning for while being able to share some of your funny and personable sides. After all, it can be hard to get a clear idea through posters and flyers alone. You can use visuals to point out the problems you’d like to fix, make jokes, and share some visual information people will remember long after the presentation is over. We’ve even put together some tips for creating great presentations, you can read here. At the end of your campaign, you’re more than likely going to have to give a speech. This is your opportunity to tell people who you are, what you stand for, and to bring those last-minute voters onto your side. The best advice we can give you here is, to be honest and to talk about the topics that matter to you and your voters. “Be yourself” sounds corny, but when you’re trying to get people to vote for you, it’s the best thing you can be. You can add weight to your speech by using slides from your presentation, or handing out flyers, to engage the audience even more while you’re speaking to them. Even better, they might take them home and be convinced to vote for you! We hope by the end of this article you have a clearer idea of how to successfully run for student council! Let’s quickly recap the steps again, shall we? If you follow these tips, there's no doubt you’ll be a strong contender for the position you want. And, from the Canva team, best of luck for your election!